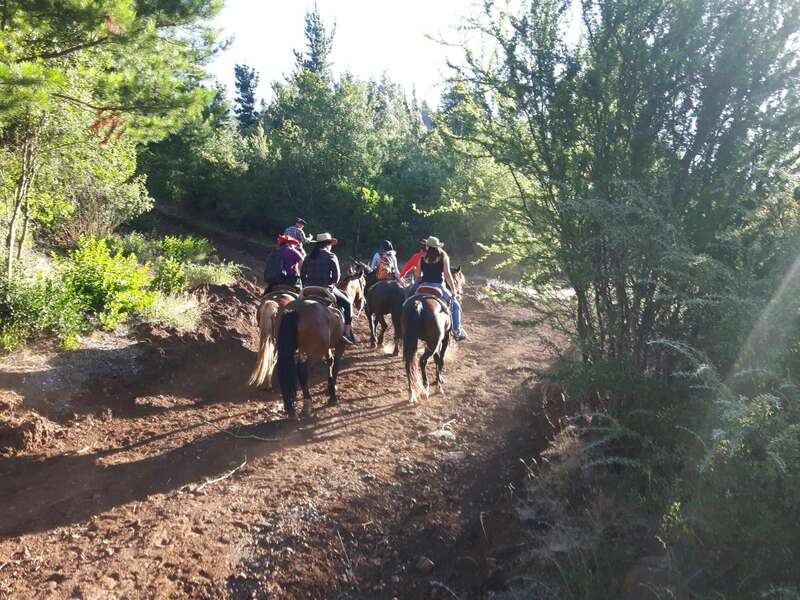 Our Rari Day Ride is the ideal short trip to get away into nature for the day and return for a warm shower and comfortable night back in civilization. We meet at 8.30 am at our farm cottage in Rari. Optionally we can organize a pick-up in Linares (bus terminal) for you or you can choose to arrive the evening before. After being greeted by your guide for the day you will get to know your horse and get a quick riding introduction in the arena. Then we leave the farm for the trip. In the morning you will ride through a beautiful old native forest. As we climb up to the first look-out over Rari and Panimavida you will find a lot of herbs on the side of the path. If you like herbal tea you can collect some leaves for your own tea infusion later at the picnic lunch. 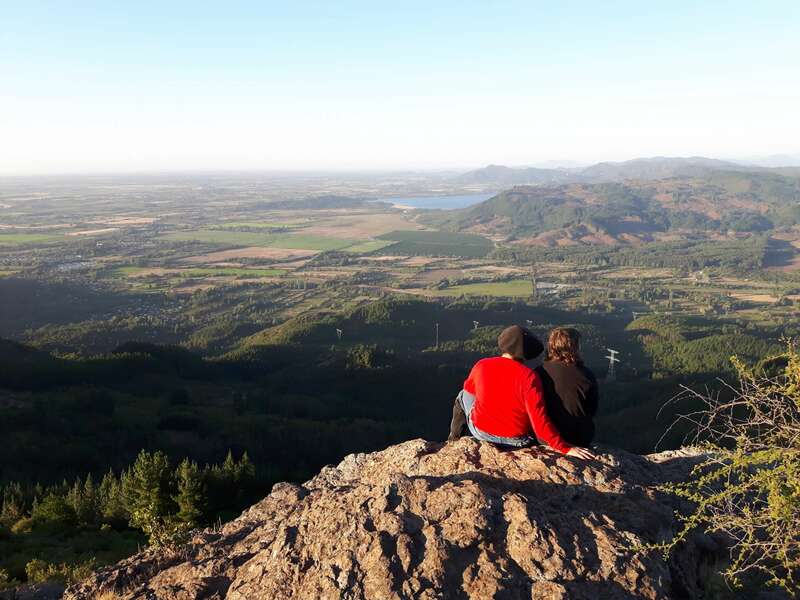 In the following short but steep climb you can experience the sure-footedness and willingness of the Chilean Criollo at its best. 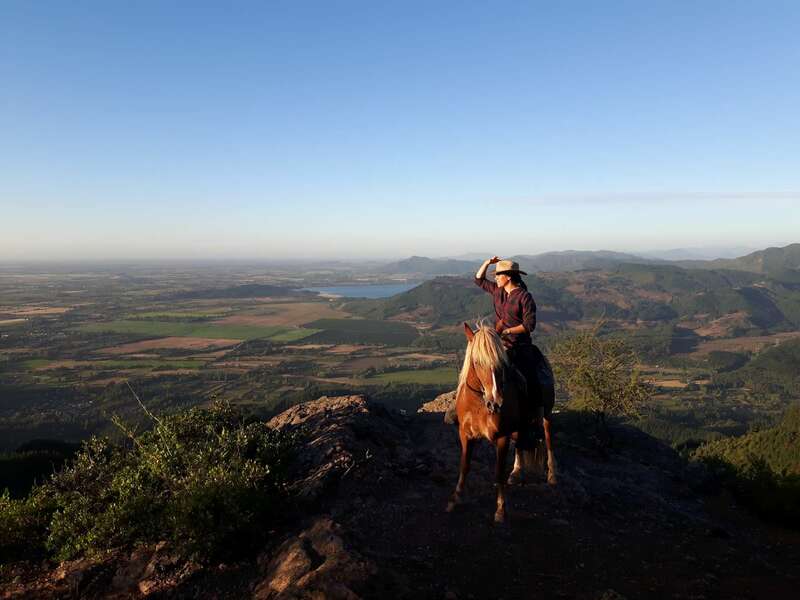 Hold on to your horses mane and lean forward till you reach another look-out with a 180 degree panoramic view over the Lake Colbun and the surrounding settlements! Afterwards we take a picnic lunch over the fire together. Don’t miss the chance to learn about the tradition and rules of sharing a traditional Mate and take a sip! In the afternoon we continue our ride over a mountain ridge and you have plenty of time to soak up the surrounding mountain views until we dive back in to the forest. Upon arrival at the farm cottage you can wash the dust away in the pool. 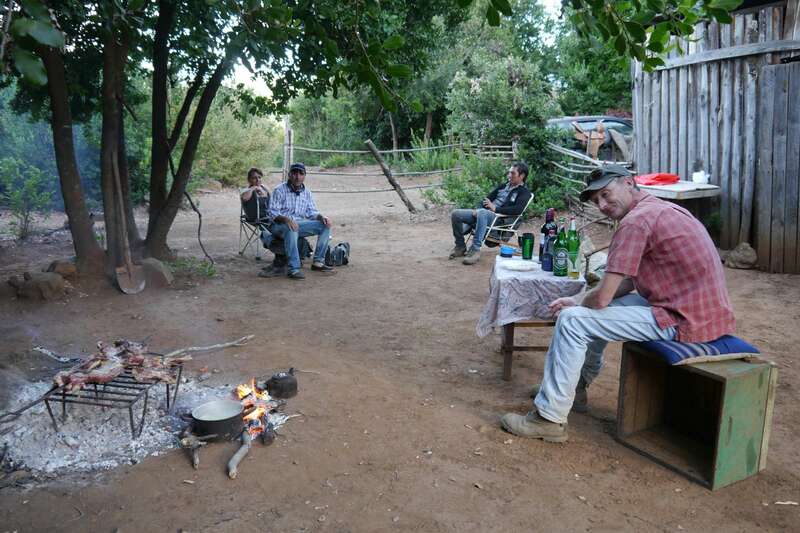 Optionally you can stay for a traditional Chilean BBQ or go and explore the settlement of Rari with their traditional crafts made of “crin” (horse hair). 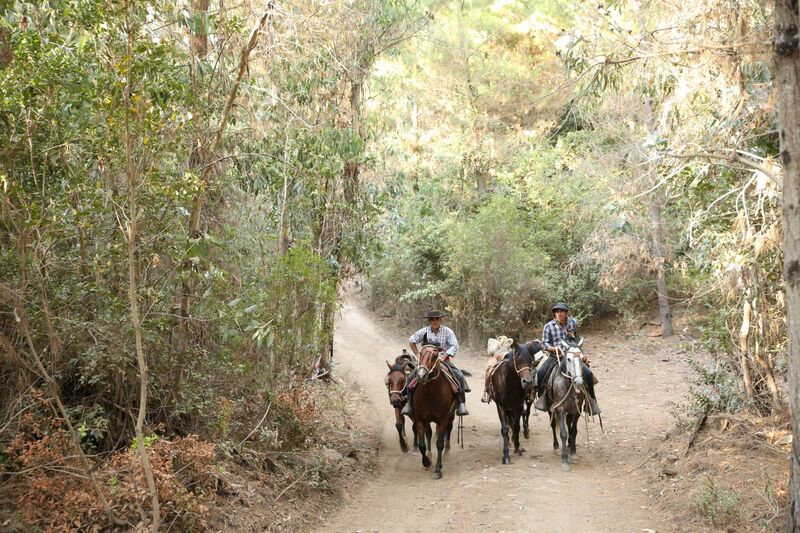 Our sturdy Criollo horses are very well behaved and secure in the mountains. Nevertheless we highly recommend to get a personal travel insurance that covers horse riding as activity. Please advise us in advance if you have any special meal requirements, allergies/medical conditions or are extremely afraid of heights. We are excited to meet you! Please inquire about your favorite dates and pricing under Reservations.